Our Life Rules: Be respectful, Be responsible and Be ready to learn! This is our second to the last newsletter for the 2018-19 school year. A little over two months will be the end of the current school year. It has been a successful year and the students are doing a fantastic job heading into the final weeks of school. 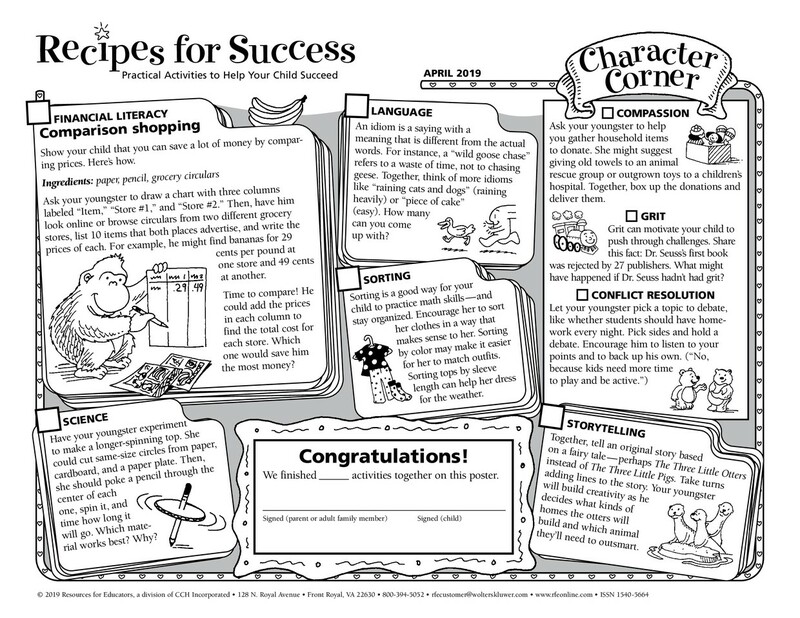 Please remind your child to remember all that needs to be accomplished before June. We have high expectations for our students and we know they can end the school year on a very positive note! 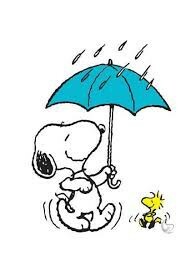 Of course, we are all ready for SPRING! The weather can only improve during April. 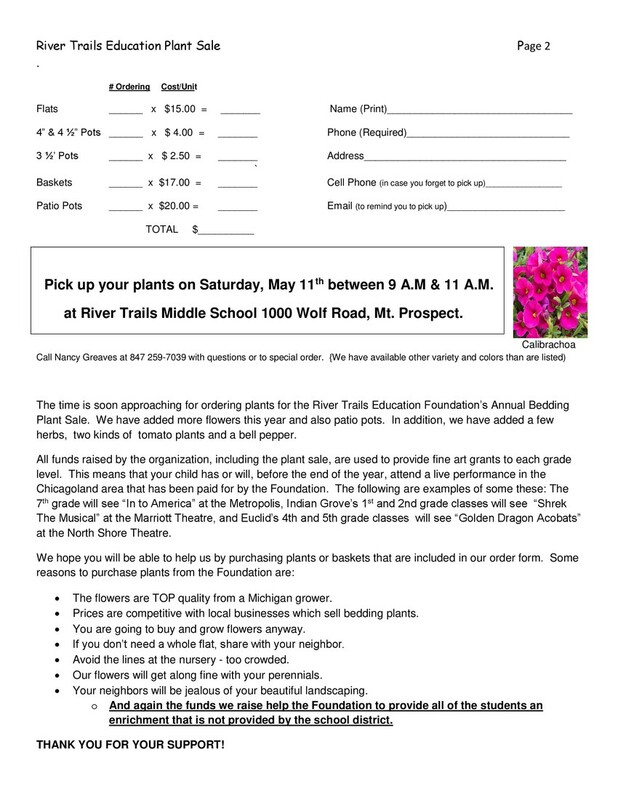 In order to prepare for the spring and summer, why don't you purchase beautiful flowers for your garden from our River Trails Foundation? The Foundation raises money for all students in the district and uses these funds to send every child to a Fine Arts production every school year. 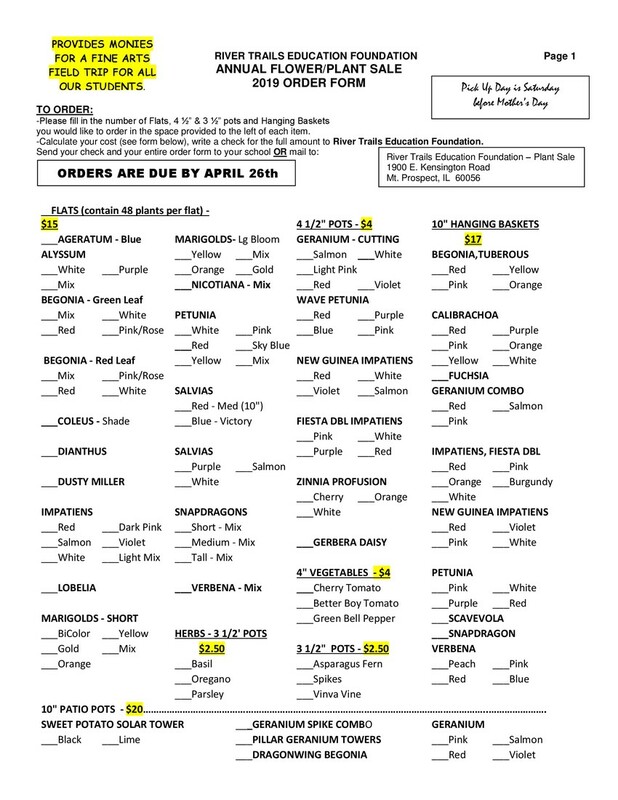 There are order forms you can print up at the end of this newsletter. We are very excited about the plethora of events coming up in April. Events this month include visits from Junior Achievement, trips to an outdoor education center, McTeacher's Night at McDonald's, an assembly about the Wright brothers, additional preparation for our fifth graders to go to RTMS, and many after school clubs/activities. Please look over the calendar in this newsletter as well as our school webpage calendar for more details. With over 530 students enrolled at Indian Grove, we need as much classroom space as possible to continue our programming and manageable class sizes at the school into the 2019-20 school year. While class lists do not become final until August, there is a great deal of planning that goes on right now to prepare for the upcoming school year. We already know we will have another large kindergarten class in the fall. Be prepared for some changes in class size and some of our encore class offerings as instructional space is very limited for all grade levels at Indian Grove. We are hoping to be able to free up some space by putting our preschool and kindergarten classrooms together at the Early Learning Center beginning in the 2020-21 school year, but that won't be decided until after April 2. Thank you for all the support you, as parents, give our students, our staff and our school each and every day. 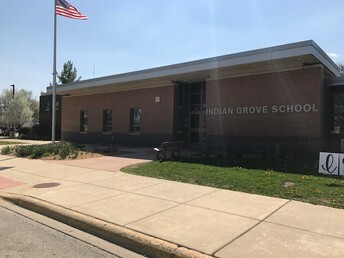 Indian Grove is a vibrant learning community and depends on your involvement to keep it going strong! 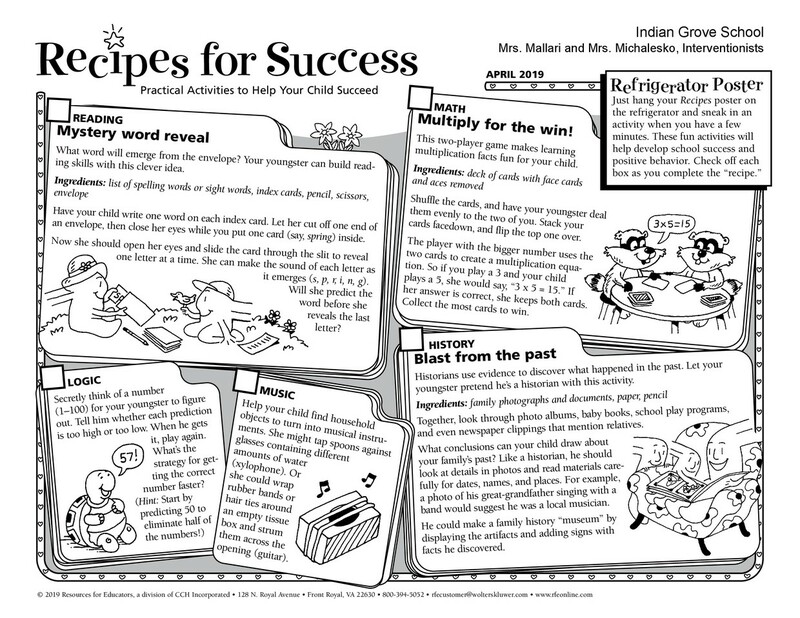 Your child is very lucky to be in such a successful school district with so many opportunities to learn and grow. Tuesday - April 2 - ELECTION DAY - GO VOTE! Registration for the 2019-20 school year has begun! Incoming kindergarten parents may register their child if he/she will be five by September 1, 2019. In order to do this, a parent or legal guardian has to come to Indian Grove to start the registration process. Our office is open from 8:00 AM to 4:15 PM. Students currently enrolled at Indian Grove should have received an email with an InfoSnap code to complete the registration online. There is no need to come into the school to re-register for next school year. Children are not assigned a homeroom teacher until the registration process is complete. Please call our school office if you have any questions (847) 298-1976 - Press "0". 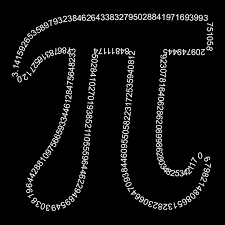 March 14th -- Pi Day! This is an irrational number which means it never repeats and it never ends. Our teacher, Ms. Szwed, challenges students to memorize as many digits as possible to the right of the decimal point of Pi (3.14). Well this year, we had some amazing results to the challenge. The following students won prizes for correctly reciting Pi, without any assistance, as far as they could memorize. Congratulations to these and all the students who took time to study and participate in this challenge! Each year during April and May, we conduct the end of the year assessments. The purpose of doing this is to track student growth on MAP and to assess how we are teaching the Common Core Standards by taking Illinois Assessment of Readiness (IAR). All students in grades 2-5 take the MAP test while only 3rd -5th graders take the state-mandated IAR (formally PARCC) test. 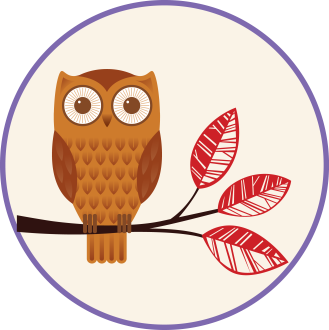 AIMSWEB Plus is a third assessment that is used individually with kindergarten and first-grade students and measures the improvement in their literacy and numeracy since the start of school. Students in grades 2-5 have short assessments in AIMSWEB given in the homerooms. Specific dates and times of testing are not yet finalized, but there are some general time frames for these assessments below. Please understand the dates may change and that these are still tentative. Be sure to speak with your child’s teacher or administration if you have any questions regarding these spring assessments. 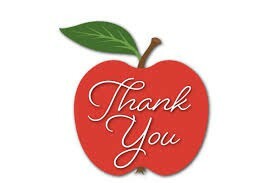 May 6 - 10 is Staff Appreciation Week. While we appreciate our staff members each and every day, the PTC goes all out to pamper the faculty with tasty treats. This would also be a PERFECT time to send an email to a staff member thanking them for all they do for your child. We all appreciate the proverbial “pat on the back” from parents and guardians who are an integral part of what we do at Indian Grove. It only takes a minute to type up a quick email of thanks to any staff member at IG. All staff emails are formatted by using the first initial and full last name followed by @rtsd26.org. Go ahead --- make their day! On Friday, May 3rd, the IG staff will be hosting a volunteer breakfast for any adult who spent time volunteering with Indian Grove children. Whether it was a one-time field trip or a set weekly time to help out in the classroom -- all are invited. A special individual invitation will be coming home very soon, but put the date and the time (7:45 a.m.) on your calendar now. 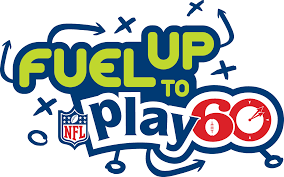 Our Fuel Up to Play 60 team did it - we are a Touchdown School for the second year in a row! A giant thank you for all of the hard work done by our student ambassadors (Grace P., Maddy M., Sabina B., Lilia S., Grace M., Kristen G., Aiden G., and Spencer F.), The ambassadors made some awesome posters to promote the Fuel Up to Play 60 program and our fitness and tattoo booths at the fun fair. IG kids earned lots of tokens for doing fun exercises Friday night at our fitness booth and the tattoo booth raised almost $100 for the Mt. Prospect Food Pantry. A great big thank you to GCSG for your help and support with the tattoos. The team wants to remind you to try to get 60 minutes of activity each day and to eat healthy foods as much as possible. Go Grovers! Way to cross into the Fuel Up End Zone! In order to better prepare for the 2019-20 school year, we need your help! If you are moving or transferring your children to another school in the fall, please contact Indian Grove School. Enrollment figures help in planning class size, ordering of materials and staffing needs. Please call the school office or send an email to school administration if you are not returning to District #26 in August of 2019. When a student reaches 1000 points in Accelerated Reader, he/she becomes Principal for the Day. We have had several "principals" since the school year started. Below are the words our principal shared with students the day she was visiting all the classrooms in March. Hi, my name is Bianca Wojnowska and I am Principal of the day. I am in 4th grade in Mrs. Wille's class. Over the past few years, I read a lot of amazing book series. Some of my favorites are Dork Diaries, Camp Confidential, Pink and Green, and Willow Falls. Always remember the words by Dr Seuss "The more you read, the more things you will know. The more that you learn, the more places you'll go". I would like to thank my parents, Mrs Creaser, all of my teachers, and my friends for fabulous book recommendations. Keep on reading and have a great day! The Indian Grove School Improvement Team (S.I.T.) for the 2019/2020 school year is looking for a new parent member. The team is made up of teachers, staff, and administration from Indian Grove School. S.I.T. plays a vital role in the occurrences in and around Indian Grove. The team is involved with issues in the areas of curriculum, student performance, budget, school policy, professional development, and overall school improvement. We meet about 6-8 times per year at 8:00 a.m. usually on Wednesdays. If you are interested in joining, please call Mrs. Fisher at (847) 298-1976 or email her at lfisher@rtsd26.org for further information. Please refrain from making a u-turn in our parking lot! Many staff members and parents have commented how close they came to being hit by a car doing a u-turn. 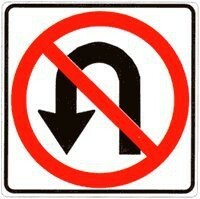 It doesn’t matter what time of the day you are dropping off a child or in our lot - NO U-TURNS ARE ALLOWED! 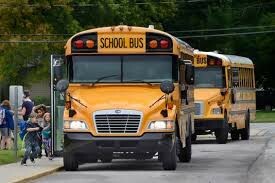 The school does have permission to send license plate numbers to the police department especially with repeat offenders. It takes all of 1-2 extra minutes to drive around our island turnaround after heading into our parking lot. 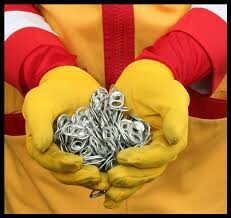 The GCSG is still collecting pop tops for the Ronald McDonald House. Our goal is to collect at least 1,000,000 pop tops! All pop tops collected are recycled and proceeds will help support families with sick children. We will be collecting these until the end of the school year. Last year, we did good, but this year we want to do even better. Step up and lend a hand. GO GROVERS!!!! 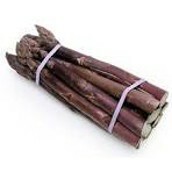 We are looking for Purple Asparagus volunteers for next year! If you are currently the parent/guardian of a kindergarten student, contact Sandy Lencioni if you'd like to volunteer in the classrooms next year. Her email is scummings54@yahoo.com. RTSD26 will offer preschool screenings to all District 3 and 4 year olds suspected of having a developmental delay. In addition, we will also be screening students to see if they are eligible for the ECDEC preschool program and our Bilingual Spanish Preschool program. To be eligible for these programs, families must meet specific criteria, such as speaking a second language in the home, income level, or other criteria that can be explained to you at the screening. If you are concerned that your child has a delay in vision, hearing, motor, speech, language, cognition and/or social functioning, call 224- 612-7308 to set up a screening time. All screenings are done by appointment only and take place at Parkview. Screenings are held on Thursdays and are once a month through April. Your district’s Board of Education meets on the 1st and 3rd Tuesdays of every month at 7:00 PM. Meetings are held either at a school or the Education Service Center (ESC), 1900 East Kensington Road, Mount Prospect. The ESC is the administration center adjacent to Park View School. At one of the semi-monthly meetings, an education report is presented. These reports highlight something special happening in the district. You are cordially invited to attend, ask questions, and learn about the district. Copies of the Board’s agendas and minutes are posted on the district’s web site at http://www.rtsd26.org. Please contact the Superintendent’s office (847) 297-4120 x 7301 for information concerning Board meetings. If you want a Board member to contact you, please call the Superintendent’s office and leave your name and telephone number. A Board member will return your call.